We’re pet owners just like our customers and we know how much time it can take out of the daily routine to care and plan for your pet in addition to all you do for your family. Luckily, app development companies have begun to create an amazing array of helpful, pet-centric apps for your smartphone and we thought we’d share some of our favorites. They’ll make your life easier and give your pet a reason to smile! 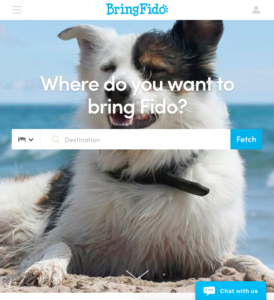 BringFido – Pet-friendly hotels, attractions and restaurants. Tractive Dog Walk – Track the distance of walks with your best friend and even log potty breaks. PawPrint – Maintain medical records, feeding instructions and reminders. Pet First Aid by American Red Cross – Tips on caring for your dog. Rover – Find pet-sitters and dog-walkers. Bark Buddy – Find a pet who is ready for adoption!